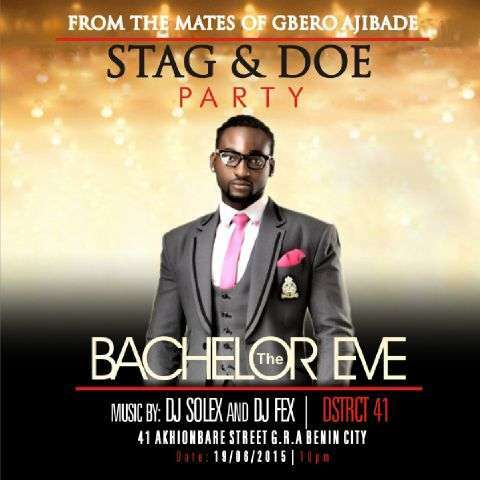 Just after his soon-to-be wife, Osas Ighodaro, had her bachelorette party, Gbenro is getting his bachelor’s party. Friends of the actor are putting it together in Benin city this weekend, and it is strictly by invitation. The event takes place at the Dstrct41 night club in Benin by 10 pm. Gbenro is set to tie the knot with his fiancee, Osas, on the 4th of July, which happens to be America’s Independence day.